February 6, 2019 - Peabody (NYSE: BTU) today announced its fourth quarter 2018 operating results, including revenues of $1.40 billion, income from continuing operations, net of income taxes of $233.5 million, net income attributable to common stockholders of $252.6 million, diluted earnings per share from continuing operations of $1.97 and Adjusted EBITDA1 of $273.7 million. "Peabody concluded 2018 with strong company-wide Adjusted EBITDA margins of approximately 25 percent for the full year, successful completion of what we believe to be a highly accretive acquisition, robust cash flows and share buybacks that have now surpassed $1 billion – more than 25 percent of our current market capitalization – in just 18 months," said Peabody President and Chief Executive Officer Glenn Kellow. "Against the backdrop of favorable seaborne conditions, Peabody begins the year with a healthy balance sheet, expectations of continued strong operating cash flows and an ongoing commitment to returning cash to shareholders." Revenues for the fourth quarter totaled $1.40 billion, an 8 percent decline from the prior year, reflecting 43 percent lower metallurgical volumes, primarily due to lack of production from North Goonyella, and 6 percent lower U.S. thermal volumes. These declines were partially offset by strong seaborne pricing and 6 percent higher seaborne export thermal volumes. Fourth quarter Adjusted EBITDA totaled $273.7 million, including $4.9 million in Shoal Creek acquisition costs. Compared to the prior year, Adjusted EBITDA declined $142.5 million, with the change primarily due to $49.0 million in costs related to the North Goonyella incident versus $73.0 million in North Goonyella contributions in the prior year. During the quarter, Peabody increased its provision for estimated equipment losses at the North Goonyella Mine by $17.1 million. Fourth quarter income from continuing operations, net of income taxes decreased $144.5 million compared to the prior year primarily due to the impact of non-recurring 2017 gains on disposals totaling $83.1 million (excluded from Adjusted EBITDA) and a 2017 income tax benefit related to alternative minimum tax credits. These items were partially offset by an $80.3 million higher mark-to-market gain on actuarially determined liabilities primarily due to changes in discount rates and improved trends. In addition, fourth quarter 2018 net income attributable to common stockholders totaled $252.6 million, including $27.1 million in income from discontinued operations primarily related to gains on actuarially determined liabilities. Compared to the prior year, net income attributable to common stockholders increased following the company's preferred stock conversion into common in the first quarter 2018. Full-year 2018 revenues modestly exceeded the prior year, even with 3 percent lower volumes, due to increased pricing for both seaborne metallurgical and thermal products. Full-year 2018 income from continuing operations, net of income taxes totaled $645.7 million and net income attributable to common stockholders totaled $544.4 million, with Adjusted EBITDA of $1.38 billion. 1 Adjusted EBITDA, revenues per ton, costs per ton, Adjusted EBITDA margin per ton and percent, and Free Cash Flow are non-GAAP financial measures. Please refer to the tables and related notes in this press release for a reconciliation of non-GAAP financial measures. Note: All prior-year comparisons are to 2017 unless otherwise noted. Most full-year 2017 income statement measures are not comparable with full-year 2018 measures due to the adoption of fresh-start reporting as of April 1, 2017. In the fourth quarter, the seaborne thermal segment sold 3.7 million tons of export thermal coal at an average realized price of $77.42 per short ton and 1.8 million tons of domestic thermal coal under a long-term contract. In line with the company's full-year targets, the seaborne thermal segment shipped 11.6 million tons of export thermal coal in 2018 at an average realized price of $81.60 per short ton. Fourth quarter Adjusted EBITDA from the seaborne thermal segment rose 34 percent over the prior year, reflecting higher export pricing and volumes and improved cost performance from the Wilpinjong Mine. As a result, the seaborne thermal segment led the company in total Adjusted EBITDA contributions for both the quarter and the year, earning $137.5 million and $452.0 million, with margins of 42 percent and 41 percent, respectively. During the fourth quarter, Peabody successfully completed its acquisition of the Shoal Creek Mine, which is now included in its seaborne metallurgical mining results. Peabody sold 2.3 million tons of seaborne metallurgical coal in the fourth quarter at an average realized price of $131.89 per short ton. In line with its expectations for the full year, the company shipped 11.0 million tons of seaborne metallurgical coal in 2018 at an average realized price of $141.06 per short ton. Compared to the prior year, fourth quarter seaborne metallurgical Adjusted EBITDA of $25.8 million was impacted by the idling of North Goonyella, lower sales from Millennium due to the ramp down of mining activities in advance of mine closure in the second half of 2019 and higher maintenance costs at Coppabella. Fourth quarter Adjusted EBITDA also includes December 2018 results for the Shoal Creek Mine, which were suppressed due to a required fair-value inventory adjustment on approximately 65,000 tons associated with purchase accounting treatment. For full year 2018, Peabody's seaborne metallurgical segment provided $441.4 million in Adjusted EBITDA contributions, which includes $58.0 million of costs associated with the North Goonyella incident. 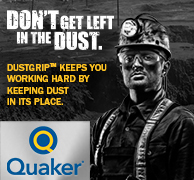 Turning to the U.S. thermal operations, fourth quarter Adjusted EBITDA totaled $144.1 million compared to $162.1 million in the prior year, reflecting the impact of lower volumes and the roll-off of higher priced legacy sales contracts in the PRB. Peabody sold 38.1 million tons at an average realized price of $18.03 per ton in the quarter. Total U.S. thermal costs per ton of $14.24 were in line with the prior year, even with lower volumes, primarily due to favorable repair and maintenance spending across the platform. For the full year, the U.S. thermal operations provided $575.1 million in Adjusted EBITDA contributions and earned average Adjusted EBITDA margins of 20 percent. Higher contributions from the Kayenta Mine, as well as PRB cost reductions, mitigated the impact of the roll-off of higher priced legacy sales contracts. Peabody generated fourth quarter and full year operating cash flows of $228.9 million and $1.49 billion, respectively. Capital expenditures totaled $114.5 million and $301.0 million for the quarter and full year, respectively, with approximately 80 percent of full-year investments oriented toward the company's seaborne portfolios, including the Shoal Creek acquisition. Excluding the acquisition of Shoal Creek, the company generated free cash flow of $164.5 million and $1.36 billion for the quarter and year, respectively. Peabody repurchased $135 million of common stock in the fourth quarter and subsequently bought back an additional $75 million in January 2019. Since August 2017, the company has repurchased a total of $1.09 billion under the company's expanded $1.5 billion share repurchase program. To date, the company has repurchased a total of 29.2 million shares under the program, representing 21 percent of shares initially outstanding on a fully converted basis. Today, the board declared a quarterly cash dividend of $0.13 per share of the company's common stock payable on March 6, 2019 to shareholders of record on Feb. 20, 2019. Progress on the company's share repurchase program led to increases in the quarterly dividend per share while maintaining aggregate dividend cash outflows. Liquidity at year-end totaled $1.32 billion, including $981.9 million in cash and cash equivalents, $243.6 million of available revolver capacity and $93.6 million of accounts receivable securitization capacity. "Underlying seaborne met and thermal coal conditions remain quite positive and the pace of U.S. coal-fueled power plant retirements is expected to substantially ease in 2019, even as macro concerns of slowing global GDP growth, trade issues and easing commodity prices create cause for caution," said Peabody Executive Vice President and Chief Financial Officer Amy Schwetz. Continued tightness in seaborne thermal supply-demand dynamics in 2018 contributed to ongoing strength in the 6,000-specification Newcastle thermal price. The fourth quarter average prompt Newcastle thermal price eased 10 percent from the third quarter 2018 to $105 per tonne. The spread between the 6,000 Newcastle specification product and the lower-quality 5,500 product tightened to an average of approximately $42 per tonne in the fourth quarter compared to an average of approximately $48 per tonne in the third quarter. The ongoing importance of the Asia/Pacific region was again highlighted in 2018. Despite import restrictions enacted by the Chinese government, Chinese thermal coal imports rose approximately 16 million tonnes in 2018, as domestic supply was outpaced by increased domestic power consumption, which grew at the highest rate since 2011. India thermal coal imports increased 18 percent to 167 million tonnes as rising domestic coal production fell short of continued strong domestic demand. In addition, ASEAN nations expanded imports by 19 million tonnes in 2018 to support ongoing urbanization. Globally, coal-fueled power plants continue to be built, with approximately 56 gigawatts of new capacity added in 2018, with another some 60 gigawatts of additional capacity expected to come online in 2019. On the supply-side, lower-quality Indonesia exports rose 39 million tonnes in 2018 over the prior year primarily in response to increased demand from China and India. Both Australian and U.S. thermal coal exports remained strong, up 4 percent and an estimated 34 percent, respectively, year-over-year. Turning to metallurgical coal, premium hard coking coal spot pricing remained high in the fourth quarter, averaging $221 per tonne. The fourth quarter index settlement price for premium hard coking coal was $212 per tonne compared to $192 per tonne in the prior year. Pricing for the low-vol PCI product also continued its strength, with a fourth quarter benchmark settlement of $139 per tonne compared to $127.50 per tonne in the prior year. Looking ahead to the first quarter 2019, the low-vol PCI benchmark price was set at $141 per tonne. Seaborne metallurgical coal supply/demand balance remains favorable. India continues to demand metallurgical coal to meet its steel making needs, with metallurgical coal imports rising 5 percent in 2018 over the prior year. However, Chinese metallurgical coal imports eased 5 million tonnes due to an increased reliance on domestic supplies and scrap steel usage. Increased steel production from ASEAN nations also continues to support seaborne metallurgical coal demand. Even with continued strength in pricing, supply growth remains muted with metallurgical exports from Australia and the U.S. rising 7 million tonnes and an estimated 4 million tonnes, respectively in 2018. Within the U.S., a mix of higher seasonal demand, increased fourth quarter natural gas prices and ongoing strength in exports resulted in continued stockpile reductions despite substantial plant retirements in 2018. Total U.S. electricity generation rose 4 percent in 2018, while coal demand fell 4 percent. However, a 16 million ton decline in total U.S. coal production and an estimated 18 million ton increase in U.S. thermal exports led to utility coal stockpiles falling 37 million tons since 2017, reaching the lowest levels since 2005. As a result of continued strength in seaborne thermal coal pricing, the Illinois Basin is forecasted to be the largest thermal exporting region in the United States. "As we begin 2019, we do so with a focus on enhancing shareholder value through successfully integrating the highly accretive Shoal Creek Mine into our seaborne metallurgical operations, accelerating a safe return to operations at North Goonyella, advancing attractive mine life extension projects in seaborne segments and remaining committed to our focus on value over volume," said President and Chief Executive Officer Glenn Kellow. "We expect to accomplish each of these while still maintaining our commitment to returning cash to shareholders." Peabody is continuously looking at opportunities to optimize its portfolio and generate returns for its shareholders. With respect to the company's seaborne thermal segment, Peabody is pursuing life extension projects to maintain its export thermal coal volumes at both Wambo and Wilpinjong. As previously announced, the company continues to advance an unincorporated joint venture with Glencore to extend the life of Peabody's Wambo open cut mine. The United Wambo Joint Venture provides Peabody with access to stratified reserves and extends one of its high-quality thermal coal mines, while also improving productivity and enhancing blending capabilities. The joint venture is expected to commence production in early 2020. In addition, Peabody is progressing with its Wilpinjong extension project, which extends the life of its low-cost Wilpinjong Mine to 2030 while providing substantial returns with a rapid payback period. The extension project allows Peabody to continue to access seaborne demand centers while meeting the requirements of its long-term domestic contract. Peabody expects to invest approximately $100 million over each of the next two years related to both the Wambo joint venture and the Wilpinjong extension project. In total, the company is targeting to sell between 11.5 million and 12.5 million tons of export thermal coal in 2019, with 60 to 70 percent of higher-quality Newcastle 6,000 specification volumes and the remainder closer to a 5,500 API5 product. Peabody's seaborne metallurgical segment is evolving with the planned closure of the Millennium Mine in 2019 and the addition of a full year of contribution from the Shoal Creek hard coking coal mine. Looking forward, the company is targeting higher metallurgical coal volumes beginning in 2020 with the planned return to normal mining activities at North Goonyella early next year. 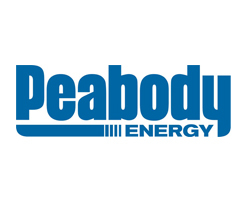 Peabody completed its purchase of the Shoal Creek Mine for $387 million in December 2018, and full integration of the mine into Peabody's operations is well under way. The acquisition includes the well-capitalized operations and excludes legacy liabilities other than reclamation. In 2019, Peabody expects the Shoal Creek Mine to ship approximately 2.5 million short tons of high-vol A metallurgical coal to Asian and Atlantic steel customers. Peabody expects sustaining capital investments of approximately $20 million and $10 million in 2019 and 2020, respectively. Shoal Creek's costs are expected to range between $85 and $95 per ton, including barge and port fees, and are reflected in the company's full-year 2019 seaborne metallurgical guidance targets. In line with the company's previously announced plans, the Millennium Mine will deplete its mineable reserves in 2019. In 2018, the mine shipped 2.4 million tons of metallurgical coal, and the mine is expected to ship just over half a million tons in 2019. Millennium's costs typically average in the upper part of the company's seaborne metallurgical guidance range. Peabody is also continuing to evaluate opportunities at its Moorvale Mine to utilize existing infrastructure to mine an adjoining lease to the south in order to extend the life of that mine beyond 2025. With regard to the company's North Goonyella Mine, Peabody has now identified a base case that targets limited continuous-miner volumes in 2019 with longwall production beginning to ramp up in early 2020. The base case contemplates approximately 2 million tons of sales from North Goonyella in 2020. As part of Peabody's recovery plan for North Goonyella, the team is executing a multi-phased re-ventilation and re-entry project targeted to commence in the first quarter 2019. The stage-gate approach provides an opportunity to periodically re-evaluate progress, costs and investments. At this time, Peabody expects idling and project costs to average $30 to $35 million per quarter in 2019, with first quarter costs expected to come in above the high-end of that range. The company is targeting approximately $110 million in capital for North Goonyella, including previously planned new longwall equipment. In addition, the company expects cash outlays associated with leased equipment settlements. Peabody also is anticipating recovery of $125 million in insurance proceeds in 2019. Peabody will continue to provide periodic updates on North Goonyella on PeabodyEnergy.com. Peabody continues to emphasize value over volume and is targeting lower 2019 U.S. sales volumes relative to 2018 in the face of lower domestic demand. Peabody expects to reduce production and sales of higher-quality and higher-cost coal from its North Antelope Rochelle Mine by 10 million tons. With this reduction, the company enters 2019 with approximately 90 to 95 percent of PRB volumes priced. In the Midwest, Peabody is easing production across several complexes. Western segment volumes are expected to decline year over year in line with actions involving the announced closure of the Navajo Generating Station (NGS) by year-end 2019. Peabody's base case is that the Kayenta Mine's production and sales are expected to cease in the third quarter given plant inventory levels. The owners of NGS are contractually obligated to fund a portion of the reclamation and retiree healthcare liabilities associated with the Kayenta Mine. Peabody has been and will continue to accelerate cash collections from the owners of NGS in 2018 and 2019. Generate Cash: The company is focused on managing costs and maximizing revenue potential from all operations, with a particular emphasis on value over volume. Maintain Financial Strength: Peabody has identified liquidity and gross debt balance targets and routinely re-evaluates those targets based on changing business needs. The company is maintaining its liquidity target of $800 million as well as its gross debt target of $1.2 billion to $1.4 billion. Consistent with the company's holistic approach towards liability management, Peabody reduced total liabilities by $553.3 million in 2018, reflecting lower debt, timely reclamation and substantial declines in postretirement benefits. Invest Wisely: The company continues to evaluate all internal and external investment opportunities through a set of strict filters that include: maintaining financial strength; generating returns above the cost of capital; providing a reasonable payback period; being positioned within the company's core regions and/or seaborne demand centers; offering tangible synergies; and creating significant value for our shareholders. Peabody is targeting 2019 capital investments of $375 million to $425 million. Return Cash to Shareholders: Over the past 18 months, Peabody has returned $1.14 billion in cash to its shareholders through share buybacks and the initiation of a quarterly dividend. The company has more than $400 million remaining under its current share repurchase authorization program, which it intends to continue to execute upon in 2019. 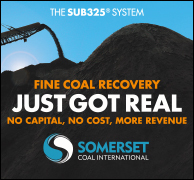 Peabody (NYSE: BTU) is the leading global pure-play coal company and a member of the Fortune 500, serving power and steel customers in more than 25 countries on six continents. Peabody offers significant scale, high-quality assets, and diversity in geography and products. Peabody is guided by seven core values: safety, sustainability, leadership, customer focus, integrity, excellence and people.